A few weeks after introducing its FlightWave Edge UAS, FlightWave Aerospace Systems, Inc. has now introduced its hydrogen-powered Jupiter-H2 UAS, which is the company’s second offering to the UAS community. Thanks to a partnership with a UK-based fuel cell company called Intelligent Energy, FlightWave was able to equip the Jupiter-H2 UAS with the hydrogen fuel cell technology that powers the aircraft. 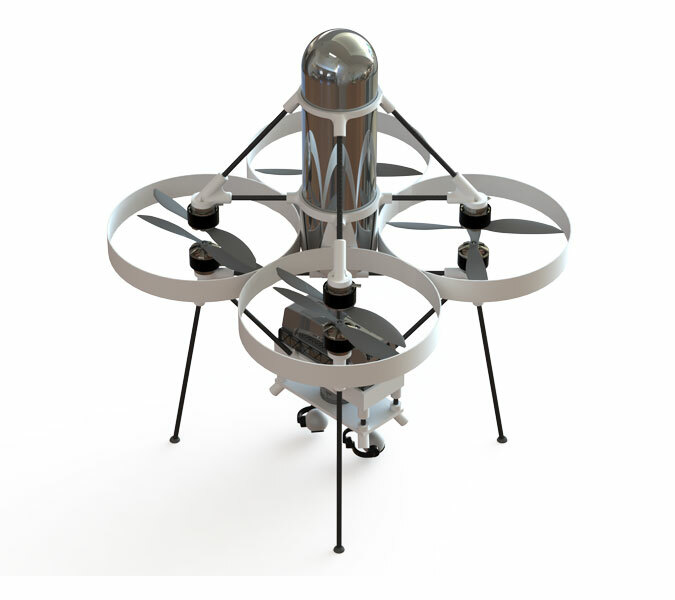 The hydrogen fuel cell technology gives the UAS, which uses a “narrow-profile 70 cm airframe, with a high-thrust power plant consisting of eight motors driving cross-flowing fan blades,” several distinct features, such as its heavy-lifting capability. FlightWave notes that extra energy and lighter energy means more power to lift and carry the respective sensors of a user. Read More.